Look girls, i'm matt hoffman.....................Oops.. He got DUNLOP for his fall. Lucky guy! SHOWING OFF: There is such a thing as overdoing it. That's not a fail. 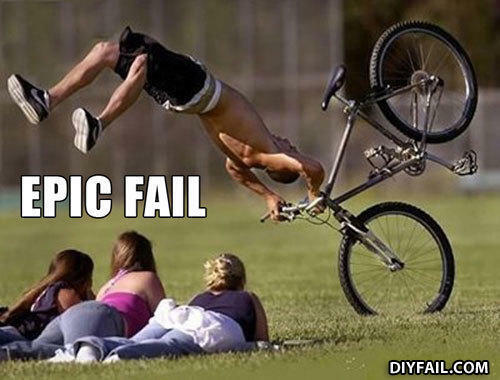 It's obvious that he is backflipping ON TO the bike, not flying over the handlebars!